1980s to 90s is a very unique period of time for Shanghai. Something new took root and something old was lost in time. I did a whole series of 12 illustrations, following the seasons, and tried to depict the changes through children’s eyes–everything looks exaggerated and weird, but still playful. 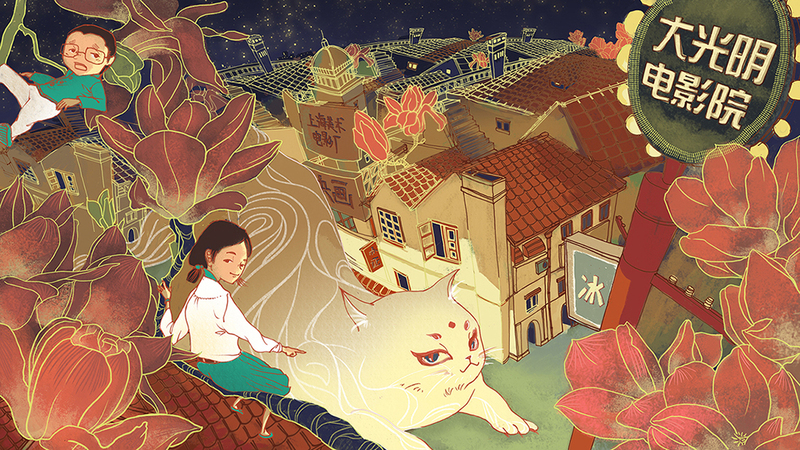 This illustration shows on April, magnolia blossoms are everywhere in the city.